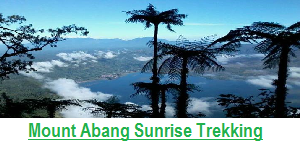 Bali Trekking package – in Bali we have some program for Bali trekking tour such as Mount Batur Trekking Tour, Tamblingan Jungle Trekking Tour, Sambangan Waterfall Trekking Tour, Mayong Village trekking tour, Munduk village trekking tour, and Sekumpul waterfall trekking tour, we really recommend these trekking tours for you who would like to get unique experience of Bali Nature during your holiday in Bali. 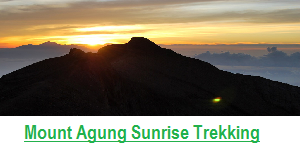 all program of Bali Trekking tour has been design exclusively for you for your memorable experience. 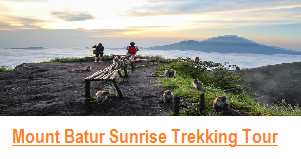 Mount Batur Trekking Tour – In this Trekking tour we will take you to the amazing sacred active Bali volcano named Mount Batur, here we will climb this mountain for 2 hours from the bottom to the top of the mountain. you will pass a lot of fun challenging, this trekking tour will start in the early morning at 4 am. why? as you know we will climb for 2 hours so you will get the top at 6 am, at 6 am you will see amazing sunrise that you never see before. 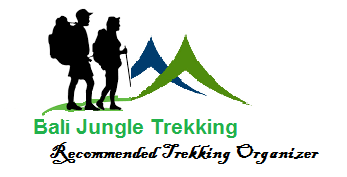 Tamblingan Jungle Trekking Tour – In this trekking tour we will take you to experiencing the real jungle of Bali with full of Nature atmosphere, here we will visit 3 old legend temple, and cross tamblingan lake by canoe. the best time for this trekking tour is arounf at 8 to 10 am and the duration of the trek is 2 to hours. 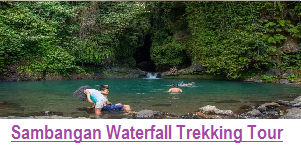 Sambangan Waterfall trekking tour – in this trekking tour we will exploring 7 waterfalls in sambangan village named Sacred Garden, during the trek you may do Jumping, Sliding, Jumping in the waterfall, and you also we walking thru the rice field and river side. 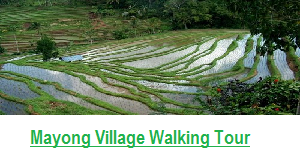 Mayong Village Trekking Tour – in this trekking tour, you will walking thru the most beautiful rice field in north of Bali, exploring the hidden village, and see the Bali farmer activities directly and join them if you like. 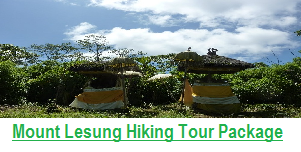 If you feel interest in joining one of our Bali Trekking Tour program please do not hesitate to contact us any time, we will happy to keep in touch with you.